This item is currently offered at auction by Great Collections. Please Contact us for more information! 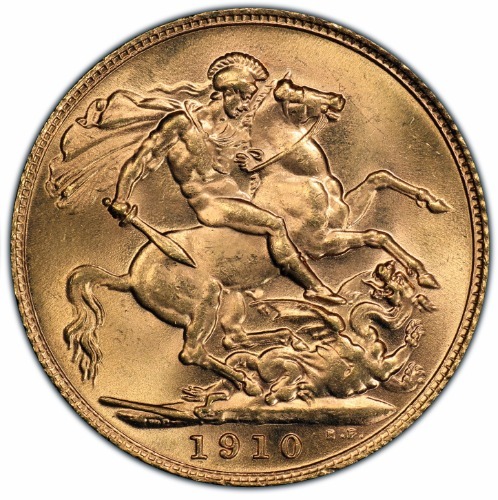 · A 1910 Edward VII Gold Sovereign from the London Mint. · NGC MS65 and tied for Top Population with one more coin at NGC and 2 coins at PCGS. · The Gen Uncirculated MS65 grade is the highest grade available for the Edward VII Gold Sovereign series. Please include year and denomination and make your offer in any major currency.